The 3.5” Multi Purpose Deluxe Panel is an comes with one external SATA port, 2 external USB ports and 4 port fan speed controller. 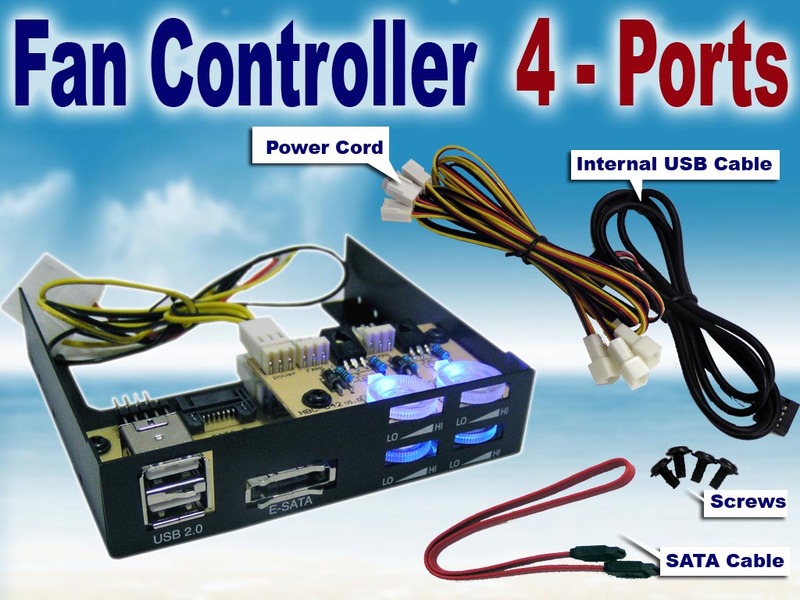 Unlike other I/O panels, this panel connects both SATA and USB ports to the motherboard internally instead of routing around to the back outlets, which is technically incorrect and makes messy wiring. It uses standard 9 pin motherboard connection for the USB 2.0 cable. Connects up to 4 fans and allows you manually adjust the fan speed and noise level. The fan speed is determined by the variable speed potentiometer settings which vary the voltage of the fan from 7V-12V. Each channel will support 15-18W. The System Controller is great for Large CFM fans and fits perfectly in your standard 3.5" drive bay.